Germaine M. (Arsenault) Cirka, 90, a resident of the St. Antoine Residence, passed away peacefully on January 26th , at the St. Antoine Residence. 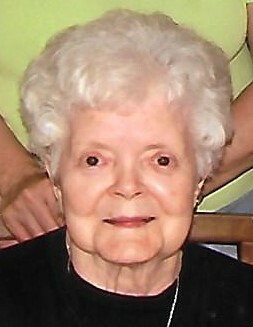 She was the loving wife of the the late Walter T. Cirka. Born, July 14, 1928, in Mexico, Maine, she was the daughter of the late Joseph & Yvonne (L’Abey) Arsenault-Brown. She is survived by 2 sons, Walter D. Cirka of Litchfield, NH, David R. Cirka of Chepachet, RI, and a daughter Nancy A. Manock of No. Kingstown, RI, also 7 Grandchildren & 9 Great Grandchildren. Her Funeral will be Thursday, (Jan. 31st) at 9:00 A.M. from the Kubaska Funeral Home, 33 Harris Ave. Woonsocket, with a Mass of Christian Burial at 10:30 A.M. at St. St. Stanislaus Kostka Church, Harris Ave. Woonsocket. Burial will be in the parish cemetery, Relatives & Friends are invited. A Visitation hour will be Thursday morning from 9:00 to 10:00 A.M. before the Funeral Mass. In lieu of flowers, donations in her memory can be made to the St. Antoine Residence, 10 Rhodes Ave. No. Smithfield, RI, 02896. The Cirka family would like to thank the staff at the St. Antoine Residence for their Compassionate & loving care they provided for our mother.